India is still the best place for businesses to outsource services and is unrivalled in its scale and availability of skills, according to AT Kearney’s latest index, which ranks business services locations. Asian countries dominate the management consultancy’s index of the top 50 global locations, with six of the top 10 in the region. India (1), China (2) and Malaysia (3) make up the top three, while Indonesia (5), Thailand (6) and the Philippines (7) follow close behind, with only Mexico (4) splitting the group. The remaining three in the top 10 are Brazil (8), Bulgaria (9) and Egypt (10). In its 2014 Global Services Location Index, AT Kearney said India, China and Malaysia have topped the index every year in the 10 years of its publication. Bangladesh (26) is a new entrant to the index this year. Sri Lanka is also highly ranked at 16. The report said there is something for everyone in the Asia-Pacific region: “The region offers significant diversity. India continues to provide all-around strengths across the offshoring spectrum. In China, despite rising wages, the IT sector shows promise, not only for the growing domestic market, but also for other Asian countries seeking nearshore options. According to AT Kearney, India will continue to dominate for a number of reasons. “In addition to a continually evolving service portfolio in their core business, leading IT services firms are expanding their traditional offerings to include research and development, product development and other niche services, drawing on their extensive experience and highly skilled workforces,” the report said. China’s rising wages are already limiting Chinese service providers’ cost competitiveness in lower-end functions, according to the report, but "in high-end IT and analytics, the country offers an alternative to Eastern Europe, particularly for Asian customers”. Meanwhile, although Malaysia is hindered by a smaller labour pool, “it competes against nearby India and the Philippines with a politically stable, multi-lingual environment at reasonable rates – a good fit for companies with mid-sized demand and a lower risk appetite”. Is Malaysia a safe option for a South East Asian business services hub? 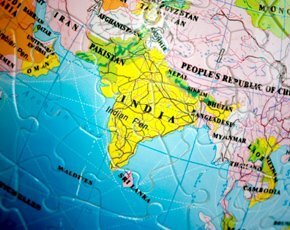 Is Eastern Europe India's biggest threat for IT outsourcing? Are nearshore suppliers the best low cost option for agile software development? Could Egypt violence could leave its and other countries' offshore IT reputations in ruins? The report said Indonesia and Thailand share solid underlying fundamentals, including large, well-educated populations and low costs, but the lack of English language skills will hold them back. The Philippines, according to AT Kearney’s index, is an industry powerhouse with an export sector second only to India. “Philippine industry is one of the most sophisticated in the world and its qualified labour force is one of the deepest. With traditional strengths in call centres, the industry is expanding into higher value-added voice services, as well as into IT and BPO offerings,” it stated. Latin America has two of the top 10 outsourcing locations – Mexico (4) and Brazil (8). It also boasts three further countries in the top 50 – Chile (13), Costa Rica (24) and Columbia (43). “With its large pool of skilled labour, Latin America offers increasingly attractive options across the spectrum,” stated the report. “Mexico benefits from reasonable costs and a large, well-educated labour force that are feeding the growing industry. Brazil shows an improving business environment, people skills and availability scores, pointing to an increasingly experienced industry that can serve global firms. “Rising costs are hollowing out competitiveness in lower-end functions, forcing Brazilian firms up the value chain in international markets,” said the report. Six countries in Eastern and Central Europe feature in the index – Bulgaria (9), Poland (11), Romania (18), Hungary (31), Czech Republic (33) and Slovakia (35). “Central Europe offers a mature industry and highly skilled players. While relatively expensive compared with offshore locations in other regions, there is still substantial arbitrage to be had,” the report stated. As well as Egypt at number 10, the Middle East and North Africa region has Tunisia (28), Morocco (34) and Mauritius (36) in the index. “With large and growing talent pools they are well positioned to play a greater role in service delivery, particularly to Europe,” it said. While political turmoil has dented Egypt’s rise as an outsourcing destination, AT Kearney expects it to recover. “This year, Egypt dropped six places because of the prolonged political turmoil that has introduced uncertainty in the minds of investors and customers alike,” the report said. Is Indian tech sector a threat or opportunity to UK’s fintech sector? Skolkovo Innovation Centre - Russia's Silicon Valley? It’s not a surprise that Asia, and India in particular is on 1st position in the most attractive outsourcing destinations’ ranking. While Poland and Bulgaria are among the most attractive countries for outsourcing in Europe. All destinations have their pros and cons – for example India is famous for its not so expensive labor, but on the other hand European destinations are known for being more reliable and providing outsourcing services of higher quality.